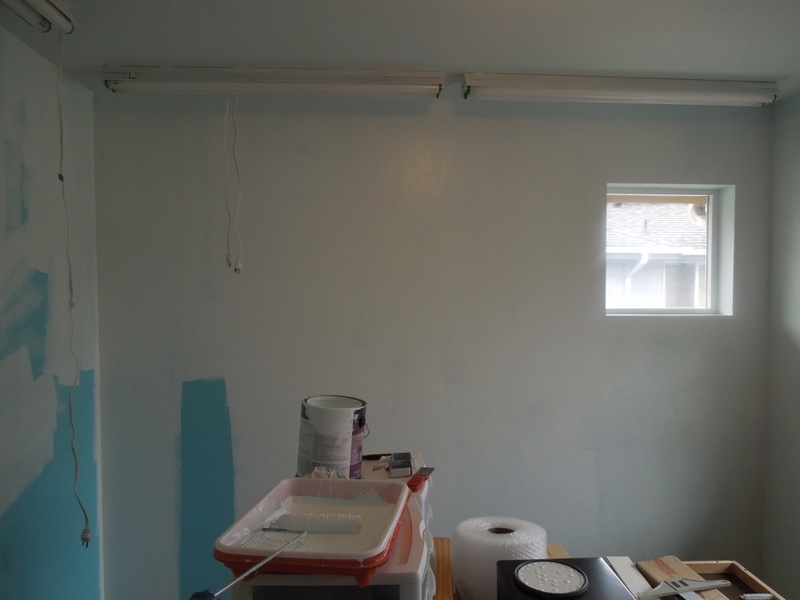 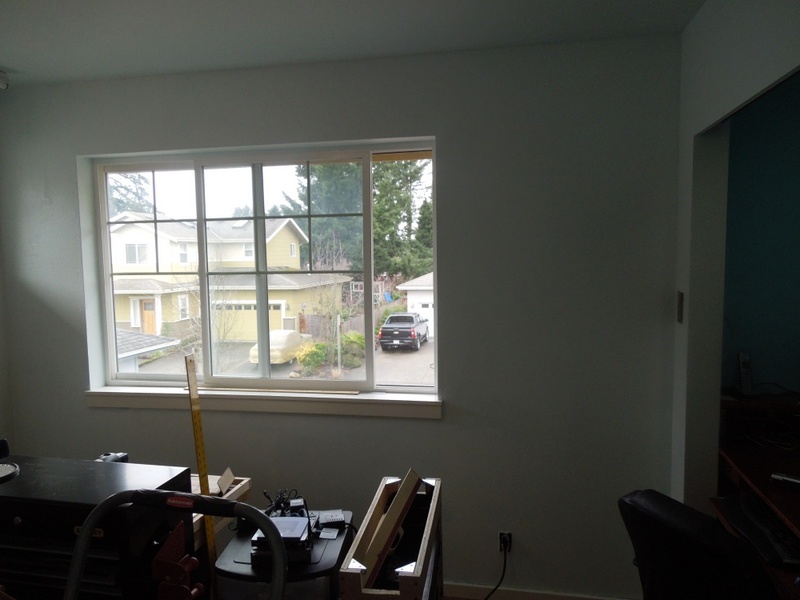 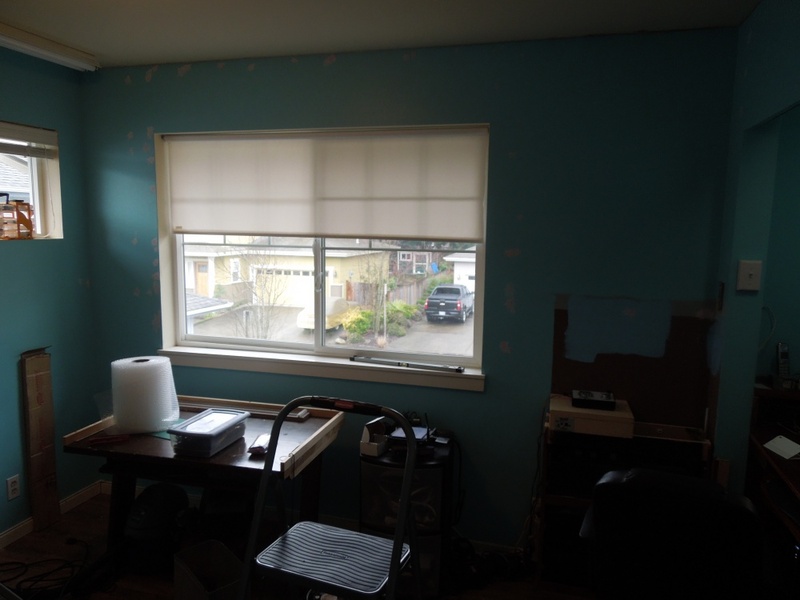 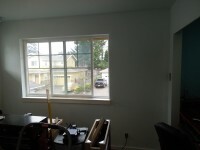 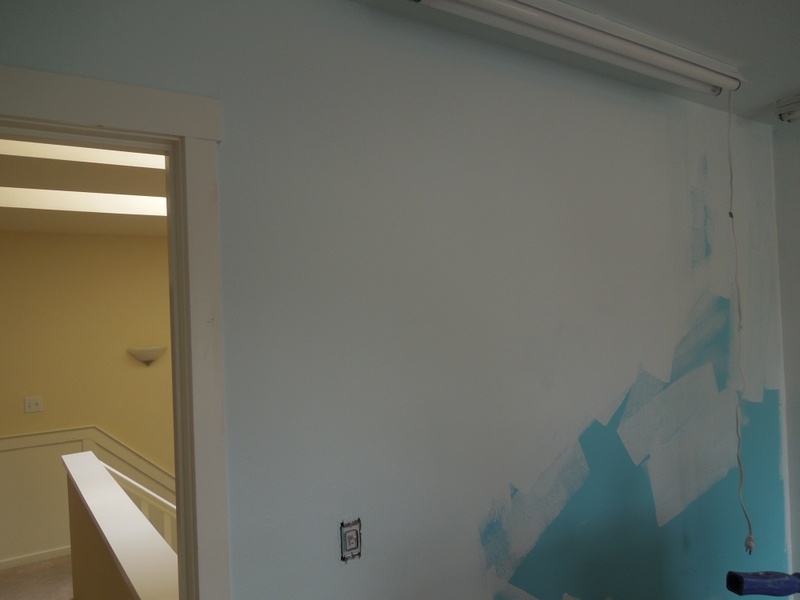 Painting the walls and ceilings. 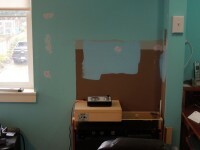 I’ve had really good one coat experiences with Behr Ultra, but this light color is taking 2-3 coats. 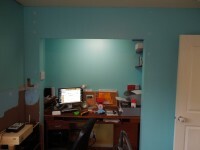 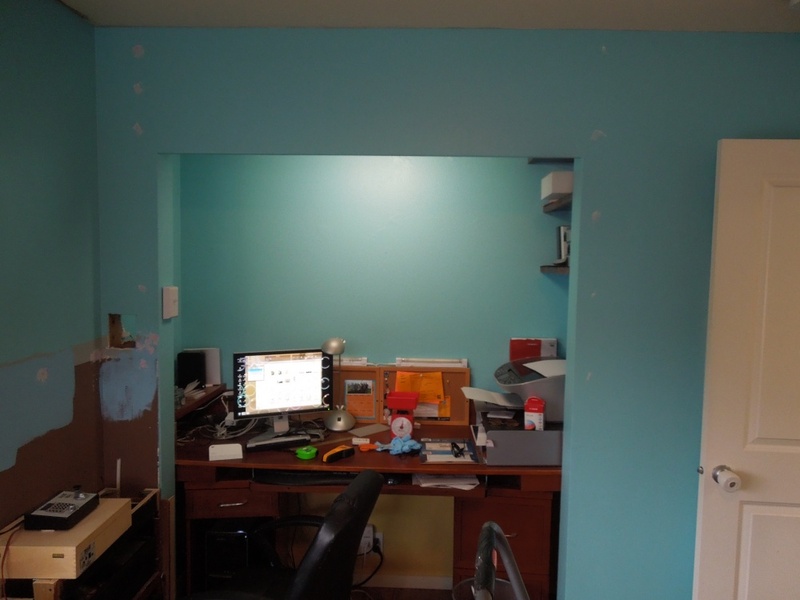 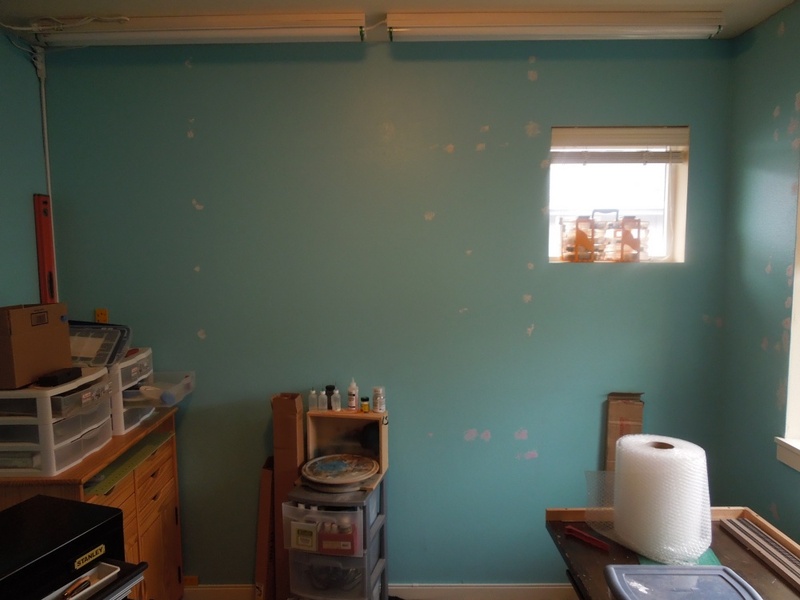 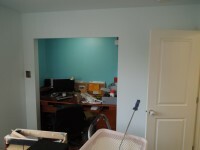 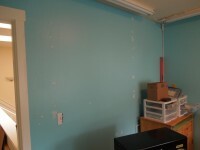 Eventually I’ll remove everthing from the closet, including the work desk, repaint and build a more sturdy work bench. Pre-construction photos taken February 14, 2012. 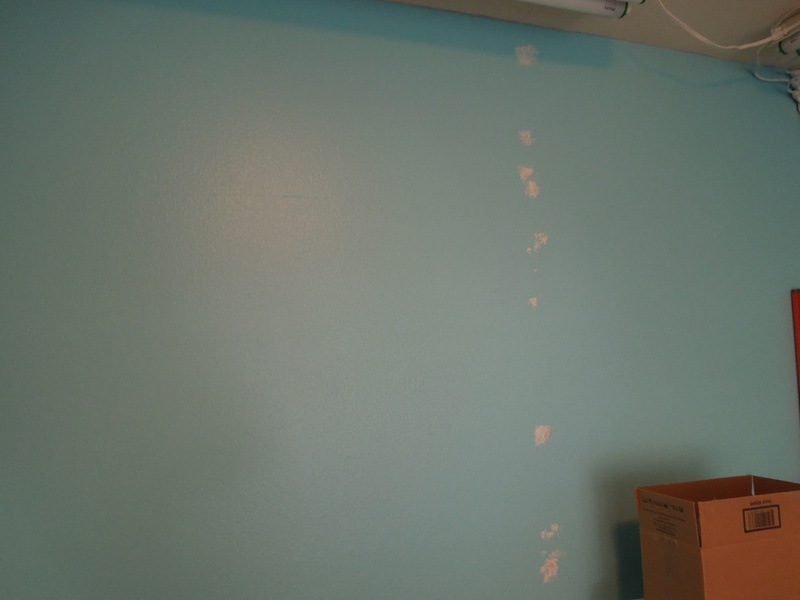 I have just filled in some old screw holes with spackle. I’m still working on cleaning out the room before painting.